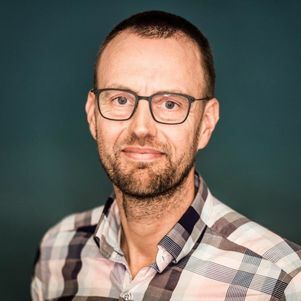 Thom Bogaard obtained his MSc degree in 1993 at the Vrije Universiteit Amsterdam studying surface erosion on terraced agricultural fields and sediment transport in small catchment in central-Java, Indonesia. Additionally he worked on micrometeorological research in relation to the desertification in central Spain. His PhD degree followed in 2001 at Utrecht University on the ‘Analysis of hydrological processes in unstable clayey slopes’. In 2007 he moved to Delft University of Technology department of Water management with main focus on experimental and hillslope/landslide hydrology. He also is affiliated with IHE Institute for Water Education. Van Asch, ThWJ, LPH. van Beek, TA Bogaard (2007). Problems in predicting the rate of slow moving landslides. Engineering Geology, 91, pp.46-55. Jongschaap, REE, RAR Blesgraaf, TA Bogaard, EN van Loo, HHG Savenije (2009). The water footprint of bioenergy from Jatropha curcas L.. Comment Letter to the editor. Proc Natl Acad Sci USA 106:E92. Dong J, R Agliata, S Steele-Dunne, O Hoes, TA Bogaard, R Greco, NC van de Giesen (2017) The impacts of heating strategy on soil moisture estimation using Actively Heated Fiber Optics. Sensors. 17(9). pii: E2102. doi: 10.3390/s17092102. Penna, D, B Stenni, M Sanda, S Wrede, TA Bogaard, A Gobbi, M Borga, BMC Fischer, M Bonazza (2010). On the reproducibility and repeatability of laser absorption spectroscopy measurements for δ2H and δ 18O isotopic analysis. doi:10.5194/hess-14-1-2010. Hydrol. Earth Syst. Sci., 14, 1551–1566, 2010.